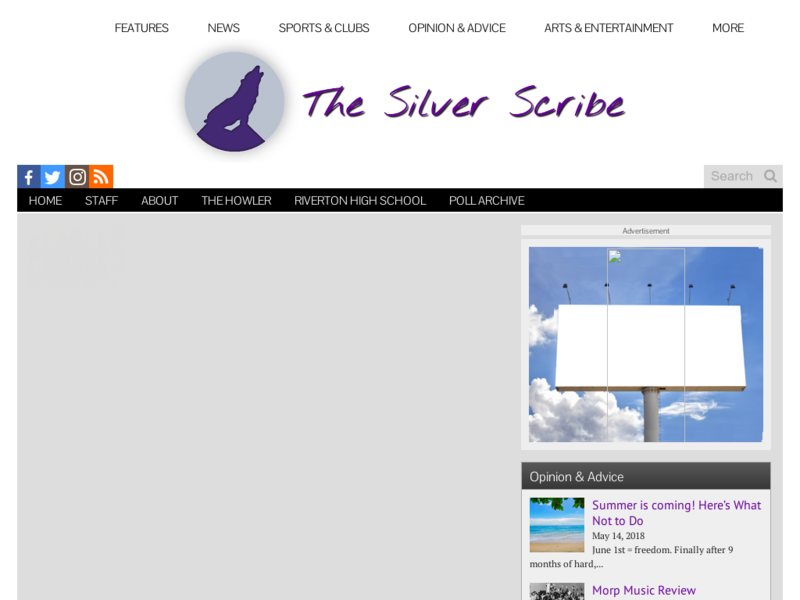 The Silver Scribe is the student news website of Riverton High School in Riverton, Utah. Reach a growing audience of high school students and their families in the Riverton, Utah area. Your ad may rotate with other ads in the zone. Ad impressions are served equally between all ads. Once approved, your ad will be live until all bought impressions are served or for 30 days. Ads are automatically renewed unless cancelled.